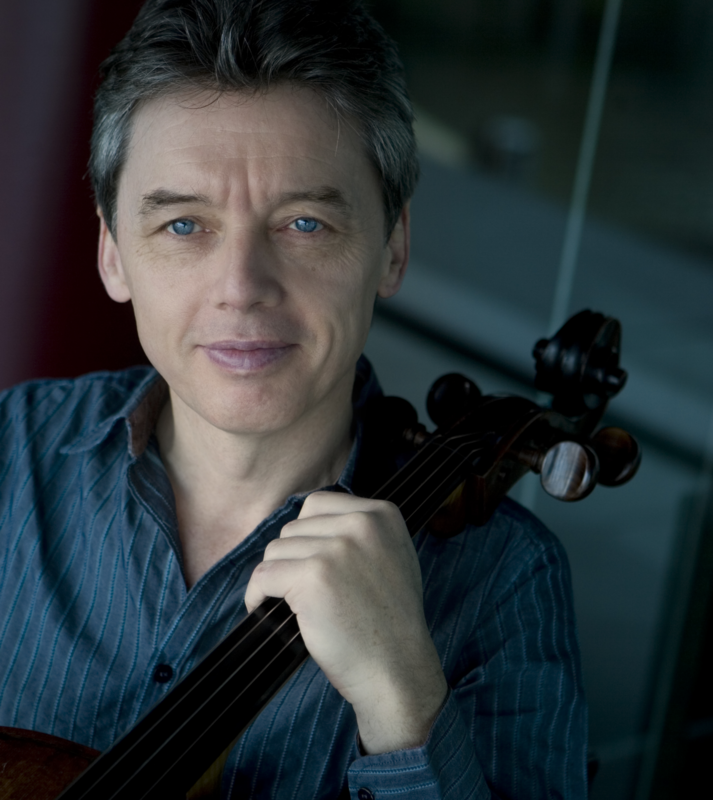 William Conway is an internationally renowned conductor and cellist, whose performances have been described as ‘astonishingly convincing’ (Opera magazine), ‘a tour de force’ (Guardian), with ‘a flair for the unpredictable’ (Financial Times). On the podium, he is known for his conviction, clarity and intelligent musicianship, while his collaborations with Hebrides Ensemble, of whom he is the Artistic Director and founding member, have been praised for their fresh and inspirational approach to programming. Born in Glasgow, Conway studied at the Royal Scottish Academy of Music and Royal College of Music, and worked in London before returning to Scotland to take the position of Principal Cello with the Scottish Chamber Orchestra, a post he held for ten years. He is a founding member and Co-principal Cello of the Chamber Orchestra of Europe and has worked with many of the great conductors including Abbado, Berglund, Boulez, Karajan, Guilini, Haitink, Harnoncourt, Maazel, Nezet-Seguin and Rattle. He is a passionate advocate of contemporary music and has commissioned and performed a huge range of new works from composers such as Sir Peter Maxwell Davies, Sir James MacMillan, Nigel Osborne, Stuart MacRae and David Fennessy. His work with Hebrides Ensemble, described by The Scotsman as ‘one of the most innovative and thrilling ensembles in Europe’ and now in its 26thyear, underpins this commitment. By placing new music at the heart of a diverse range of repertoire, often in new and surprising contexts, Hebrides Ensemble encourages audiences to approach familiar music with fresh ears. His dedication to developing contemporary music has been recognised by an award from the Scottish Society of Composers for an outstanding contribution to new music. As a conductor, he studied in Helsinki with Jukka-Pekka Saraste and was a finalist and prizewinner in the 1994 Leeds Conductors’ Competition. Since then, he has established himself as a conductor of versatility in chamber, symphonic and operatic repertoire, and has conducted the BBC Scottish Symphony Orchestra, Royal Scottish National Orchestra, Scottish Chamber Orchestra, Royal Northern Sinfonia, English Sinfonia, Chamber Orchestra of Europe (with whom he has made a CD recording released by Warner), and the Symphony Orchestras of Cairo, Sofia, Zagreb, de Filharmonie of Flanders, Beethoven Academie (Belgium), Teatro di Cagliari, Göettingen, and the American Phoenix Symphony Orchestra in all repertoires from baroque to present day. He is a regular guest with many young orchestras including the National Youth Orchestras of Scotland and Australia. This season he conducts Purcell’s Dido and Aeneasand Puccini’s Gianni Schicchiand next season will conduct Puccini’s Tosca. He is Music Director of Edinburgh Studio Opera and Artistic Director and Head of Strings and Chamber Music at St Mary’s Music School in Edinburgh. He broadcasts regularly on BBC Radio 3 and has recorded for Deutsche Grammophon , Linn Records, Unicorn-Kanchana and most recently Delphian Records in a series of highly successful recordings of music by Sir James MacMillan and Sir Peter Maxwell Davies which have reached no 1 and no 3 respectively in the classical music charts. Your support will help us to continue to attract world-class soloists, retain artistic excellence and deliver meaningful creative learning projects in communities across Scotland.